In this chapter, the background knowledge of the suspension systems is demonstrated. We mainly introduce three categories of suspension systems: two degree-of-freedom (DOF) quarter-car model, four DOF half-car model, and seven DOF full-vehicle model, whose mathematical models are established. The road excitement model is given in time domain and in the form of spectrum as well. 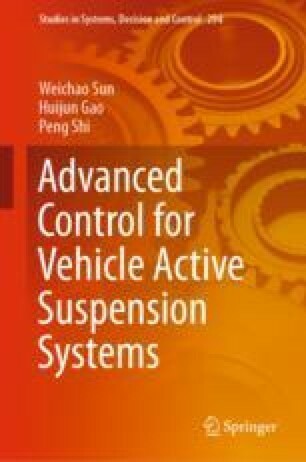 In addition, control objectives of active suspension systems are illustrated.